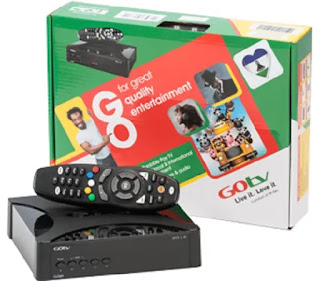 If you are looking for a simple way to downgrade your GOTV subscription from GOTV MAX to GOTv Plus or switch over to streaming services accessible globally like Netflix as well as other lower GOTv subscription plans, this post will guide you in doing it with ease. 1. If you have an active subscription, wait for the active subscription to expire otherwise it won't work. 2. You will be making the GOTV Payment online. Your internet-enabled device with your ATM Card will do. 3. You can also use this method to upgrade existing GOTV Package. Having said that, Now let's roll! 2. Click Login and enter your correct mobile number and your IUC number as requested. 3. After successful login, Select "Build a Package" from the dashboard. 4. Select the package you want to downgrade or upgrade to then select "Next". 5. Click the Pay button and choose the GOtv Payment method you prefer. As for me, I use Quickteller. 6. Enter all the necessary information to complete payment and your plan will be activated within 5-10minutes. NOTE: Make sure you have tuned your GOTV decoder to Africa Magic Channel before making payment. This method can also be used to upgrade from your Existing GOTv plan to other higher plans. Alternatively, if you feel the process explained above is too long, you may just use Quickteller to pay the amount for the new GOTV subscription then call their Customer care on 012703232 to help you do the downgrade manually. I hope this was helpful, let me have your feedback via comments.